Are you one of the many families in America that got a new flat screen television for Christmas? If you are, you may also be among those who still need to have it properly installed so you can begin enjoying it. 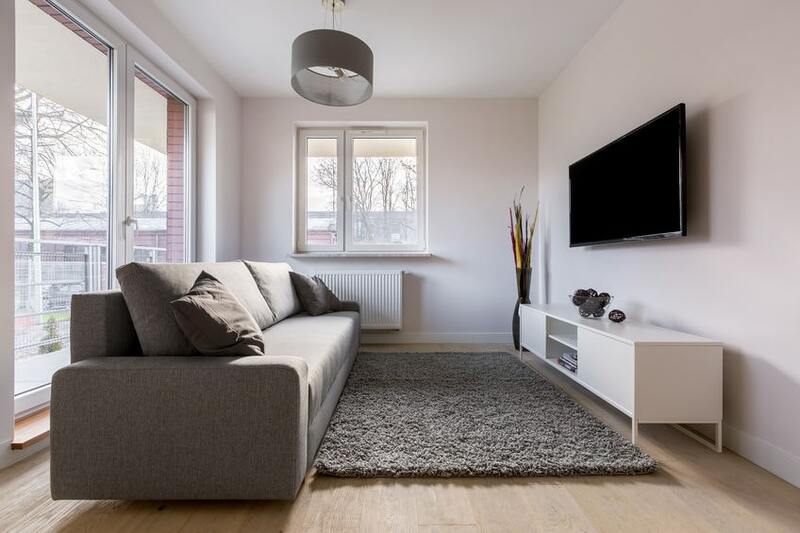 If you’re one of the lucky few, you may already have an outlet and cable connection in the exact spots you need them, making it just a matter of installing the mounting bracket and attaching your television to it. But if you’re like most homeowners, you either need to move an electrical outlet or cable connection or add an entirely new one. Adding or moving an electrical outlet or cable connection is not work an amateur should attempt. If you don’t know what you’re doing, please call a professional Flushing electrician to help. You may already have an outlet right in the spot where you want to hang your new television; however, there could be another problem. When you plug something into a typical electrical outlet, the plug sticks out from the wall about an inch or even an inch and a half. If you want to mount your television flat against the wall, you won’t be able to do so. You can then do one of two things: run the power cord from your television to another nearby outlet, or install a recessed electrical outlet. Recessed electrical outlets are pretty much exactly what you would imagine. They are outlets that sit back into your wall, so when something is plugged in, it doesn’t stick out from the wall. They can be installed in place of any traditional electrical box. These recessed wall outlets are also great in other places where a traditional outlet would prevent you from pushing furniture flush against a wall when something is plugged in. Our electricians have installed recessed outlets in the homes of our Flushing customers behind couches, beds, and side tables. Since wall-mounted televisions are a relatively new invention, most homes don’t have outlets where they are needed. For that reason, many local homeowners call a Flushing electrician to either move a nearby outlet, or install an entirely new one where they want their television to go. This goes for cable connections as well—we can move them to the exact spot you need them to be. Unless you’re okay with seeing multiple cords hanging down from your wall-mounted television, you’ll want to either have an outlet installed behind your television, or have an electrician run your wires behind the wall so they’re out of sight. Though it may seem fairly straightforward on YouTube videos and DIY websites, working with electrical wires is not something you should attempt if you haven’t been properly trained. If you need help with any of the electrical work in your home, contact a professional electrician in Flushing like Electrician Express. We’d be happy to come out and give you a quote on the work you need done. We look forward to hearing from you!